Please use the left links to visit our site. Backlight panel, using infrared LEDs, with strobe and optional luminosity control (0-10V). 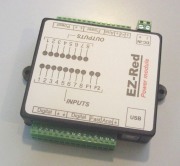 Power I/O module with USB interface. 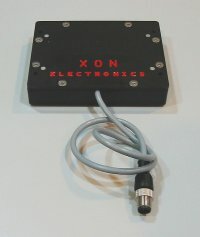 Drive machinery or other external devices with a personal computer (on-line mode) through USB interface. It features 8 inputs and 8 power outputs (12-30 volts), 2 analog inputs (0-10V), 2 analog outputs (0-10V), and 2 fast, opto-coupled inputs (suitable for an encoder). All I/O's have an associated monitor LED. Also works stand-alone (PLC mode). Intelligent electric heater for forklift. It delivers comfort to the forklift operator, both outside, in the cold seasons, and all the year inside refrigerated stocks. 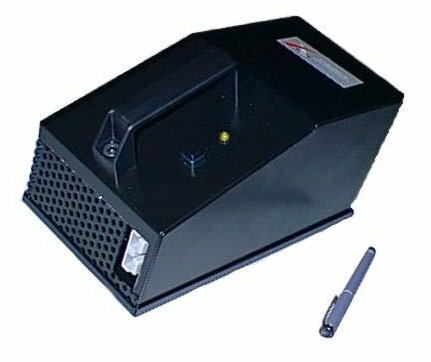 Available at 48 and 80 volts, with 1000W, it is easy to operate, reliable and safe. Good performances without reducing too much the battery autonomy. The heaters turns off automatically when the forklift stops moving - there is no risk of forgetting the heater on. 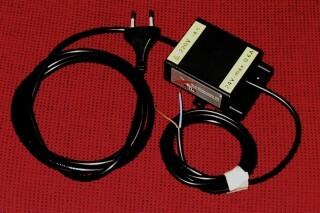 Power supply 220Vac -> 24Vcc for outside, especially suited for powering LEDs or other small appliances. Available in 18W or 24W versions. Protected for overcurrent, short-circuit, overheating. The card is completely sealed in epossidic resin.